A new Dragon Quest XI: Echoes of an Elusive Age trailer has been shown during Square Enix E3 2018 showcase today. The new trailer, which can be watched below, introduces players to the game’s story and characters, as well as showing some flashy battle footage. Watch the DRAGON QUEST XI E3 2018 trailer to learn of the fate that awaits the Luminary and his loyal companions. DRAGON QUEST XI: Echoes of an Elusive Age is coming to PS4 and Steam on September 4, 2018, in North America and Europe. DRAGON QUEST XI tells a captivating tale of a hunted hero and is the long-awaited role-playing game from series creator Yuji Horii, character designer Akira Toriyama, and composer Koichi Sugiyama. 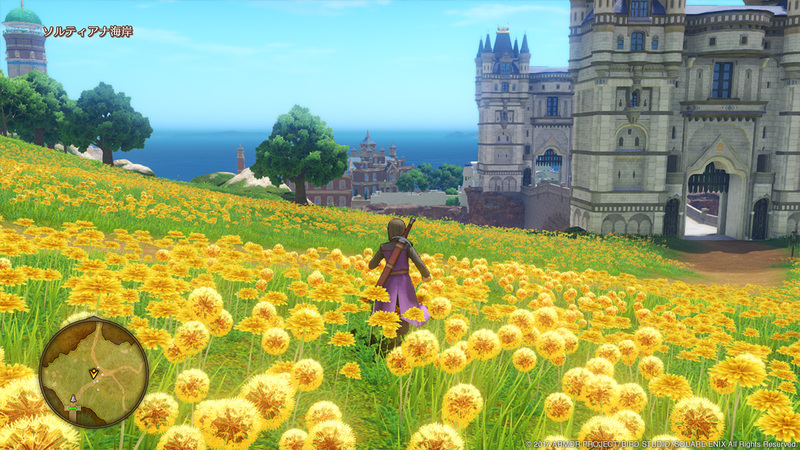 While it is the eleventh mainline entry in the critically acclaimed series, DRAGON QUEST XI is a completely standalone experience that features entirely new characters, a beautifully detailed world, finely tuned turn-based combat, and an immersive story that will appeal to long-time fans and franchise newcomers alike. Dragon Quest XI: Echoes of an Elusive Age launches on PC and PlayStation 4 on September 4th. The game will also release on Nintendo Switch at a later time.